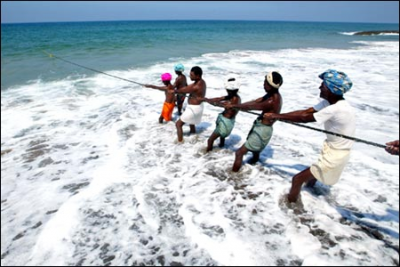 Andhra Pradesh as a state of heritage and culture receives thousands of tourists throughout the year. The tourists from every part of India come to see the works of Nawabs and kings to know the tradition that remained there hidden for centuries. At Andhra Pradesh one will discover all those beautifully crafted monuments in its peak of presentation. Whether it is charminar, saladarjung Meuseum or Golkunda fort, every monument talks its own story here. When the tourist gets tired with the man made pillars and works of arts, the nature at the beach side welcomes him. Not only the monuments but the natural sites of this state have all that enchanting effect on the tourists. 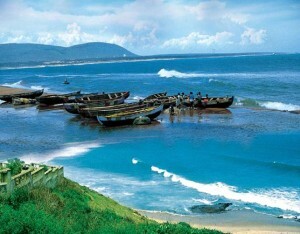 All the beaches in Andhra Pradesh are the major tourist places of the state. These beaches have received acclaim as the cleanest beaches. These sea beaches are the major tourist attractions and one as an outsider will get all the enjoyable activities in the beachside. Some of the beaches are rocky where some are sandy. One will get both the types of beaches inside the state. The major cities and small villages of the state cover certain beaches. Some of the major beaches attracts tourists from all over the world. The major beaches are Ramkrishna beach located amidst the city of Vishakhapatnam, Rishikonda beach near Vizag town, Mypad beach in Nellore district, and Kalingpatnam beach in Srikakulam. 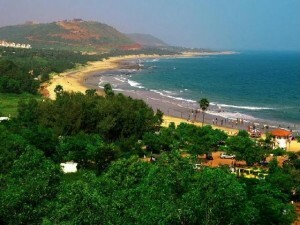 Some of the major beaches are located in the busiest places like Vizag and some are in serene places which are far away from the cacophony of the city life. There one has all the choice to select the right beach according to his mood. If the demand is for the retreat to nature, then choosing beaches like Rishikonda and Mypad will definitely help one get the desire fulfilled. 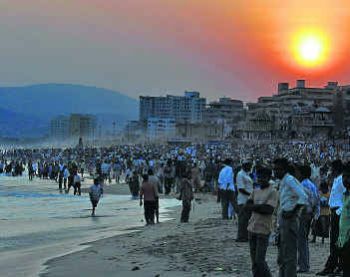 If the desire is to see the sun set and sunrise from one’s place of accommodation, then staying near the beach side hotels in bigger cities like Vizag can assist one getting the highest pleasure. Andhra Pradesh as a state of variety and heritage has all the option for its visitors. This state is a combination of tradition and modernity. Tourists get satisfaction from the natural sites of the state as those places touch the heart. One can get the leisure and pleasure according to one’s mood and desire. Every individual is not alike. Some like the hustle and bustle of the city while some prefer to have serene moments of life for a perfect reflection. This state of heritage fulfills all those moods and desires of the tourists. Even the beaches are ready to satisfy every kind of mood of the tourist. One must know a little about the geographical location of the beach to find one’s suitable place of sojourn. Beaches like Mypad, Rishikonda and Bheemunipatnam beach are geographically located in serene areas where the visitor will be enjoying the perfect retreat to nature. Life with much of hassle and problem needs an intermittent reflection of the past actions and for this activity one must need a suitable place to revive one’s life-source once again. Some prefer remaining inside the house for introspection while some drive much pleasure in the lap of nature. 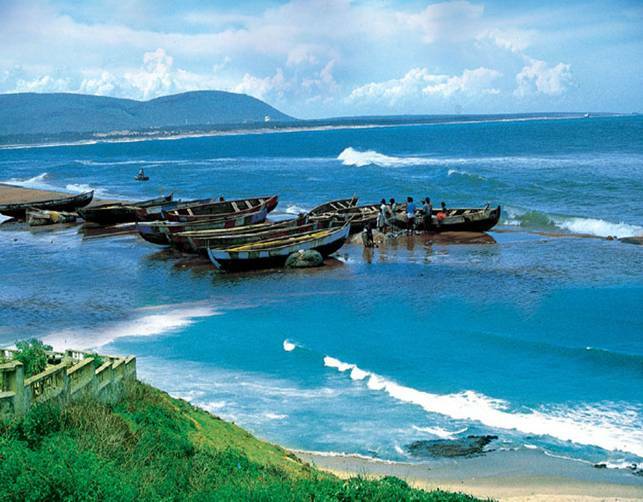 And when the mood is for introspection and rectifying the ways one lives life, then these beaches of Andhra Pradesh will definitely help one reviving the life energy. Beaches like Ramakrishna Beach located in the city of Vizag experiences all hustle and bustle of the city life. Those who are full of energy and need to experience all the activities like playing on the beach and enjoying food in the nearest restaurants, then one can suitably choose this beach for such activities. So when the desire is for visiting natural sites and beaches of eastern India, choosing the beaches of one’s choice can help one get the heartiest pleasure.